Your Support Helps; Donate Today! LET'S GO OVER THE TOP! DONATE TODAY TO THE CAMPAIGN TO ELECT LENT CARR RALEIGH'S CITY COUNCILMAN 2011! When dealing with issues i.e., infrastructure and job creation, I think it prudent to look at the impact City Council's current system of distribution of funds verses that of City Council Candidate Lent Carr's proposal plan of "equitable distribution of funds" for Chavis and Pullen Parks would have on the restoration initiative of new activity to our two largest City Parks, visitation, job creation and ultimately a revitalization shot to our City's economic growth prospects. Pullen Parks. Certainly each park in question here has a long, but distinguishable historical foundation that should be viewed equitably and in their totality. That said, it would seem to me that Council in its' deliberating wisdom would pose the question respectfully as to what it would mean to invest equitably in both parks and exactly what such equality could do for the overall growth and exposure therefore. First of all it is a scientific fact that people are drawn to landmarks which holds some sort of historical significant. After injecting the proper funds into such projects, coupled with a strong marketing and advertising campaign, it is almost certain that each park will grow beyond measure. Of course with equitable funding. This process will inevitably produce new job creations for many of our citizenry, especially for those of the Southeast vicinity of Raleigh who statistically was hit the worst during our job market crisis and recession. Equally, by creating said jobs we could easily see a decrease in Southeast Raleigh's crime rate. This is not to mention the attraction and appeal it would have on business developers. Now, as your change candidate, I plan to fight for policy of "equitable distribution of funding for Chavis and Pullen Park. Expansion of Park's amenities, job creation specifically designed for citizens of District C, and ultimately new developers' projects for this deserving segment of Raleigh, NC. In its prime, Chavis Park boasted an Olympic-size pool that drew jazz-man Cab Calloway in a pair of red trunks.Forty years ago, the Southeast Raleigh park offered train rides and a World War II-era aircraft. The show "Teenage Frolic," Raleigh's answer to "American Bandstand," was often filmed there.But today, a visitor is hard-pressed to find a drinking fountain or a public restroom. No train. No plane. No Olympic pool. No money like Pullen Park, its older neighbor 2 miles west. Neighbors in Southeast Raleigh resent how their park has fallen from a regional jewel to an afterthought. Chavis, they say, shows how Raleigh's central black neighborhoods lose out to an increasingly ritzy downtown and a border that keeps pushing north.Cab Calloway couldn't swim a lap in the modern Chavis pool without bumping his chest on the shallow end. But Raleigh has no plans to expand it for the next 23 to 25 years. Meanwhile, the city is spending $8 million on an aquatics center in northeast Raleigh -- a 13-acre complex with 50-meter competition pool and a 6,800-square-foot outdoor leisure pool with swimming lanes.Northeast Raleigh has no pool at all and therefore the greatest need, the city explains. Those residents have the farthest to drive to find public swimming, said park planner David Shouse. But Southeast Raleigh has been howling about Chavis Park since 1969, when the train didn't work and kids hurt their feet on broken glass on the pool bottom. "Black people who came anywhere in North Carolina came to Chavis Park," said Lonnette Williams, community activist. "Now people don't come because there's not much out there." The comparison with Pullen on Western Boulevard stings residents. Built in the 1880s, Raleigh's oldest park, Pullen still draws a huge regional crowd, especially schoolchildren in big yellow buses.Compare the money either approved or planned for each park out of Raleigh's last two park bonds in 2003 and 2007: $9.5 million for Pullen and $1.4 million for Chavis. A review of budgets going back to 2000 shows that Pullen regularly gets more than $1 million a year, much of it for the palatial aquatic center, while Chavis hovers closer to $100,000. Chavis Park neighbors long for a larger pool to compare with the old Olympic-size model that was filled in decades ago. And they want one that swimmers can use year-round.But the city's plan calls only for more water features and a renovated bathhouse in the next seven years -- a $3.2 million project that represents about one-eighth the cost of the new northeast aquatic center and one-fourth of another planned for the Umstead area in Raleigh's northwest. "We used to have an Olympic pool," says Lemuel Delany, 87, whose father filmed Calloway swimming there. "Now we have a baby pool." Built by the Works Progress Administration in the 1930s, Chavis was the only park blacks could use in then-segregated Raleigh. Jim Crow may have picked the spot, but Wake County blacks flocked to it for picnics, swimming and summer fun. Calloway swung through on a show at Raleigh's Memorial Auditorium, and he stayed with Delany -- his lawyer's nephew -- because Raleigh lacked hotels where black performers could stay. The park still has its historic carousel with hand-carved animals, built early in the 20th century and added about 15 years after Pullen's merry-go-round. But in its first decades, Chavis also featured a train like Pullen's. The Chavis train chugged to a halt in the early 1970s, around the time that World War II airplane was deemed a hazard. By 1974, the city also tore down the Chavis stadium where John Baker Jr. played high school football. Baker, later an NFL lineman and North Carolina's first black sheriff since Reconstruction, would note that some of his finest football moments took place at Chavis. "It was so important to us," said Councilman James West, who represented Southeast Raleigh until his recent resignation. "Just a sense of place. Just a sense of community. Just a sense of pride." Crime rose in the neighborhood by the 1980s, and the park's image and use suffered. The city still tells residents that Pullen draws more people and thus needs more money, Williams said. But use of Chavis would rise, she said, if Raleigh paid the park more attention. There is no drinking fountain at the playground at Chavis, nor a restroom. To use a toilet, a park visitor would have to pay for pool access -- provided the pool were open. Barring that, the closest restroom is a healthy walk uphill to the community center -- too far for a toddler. Pullen, by contrast, has a drinking fountain in the center of the playground and another at the tennis courts. Its carousel has a concession stand, and a paddle boat rental, and a kiddie boat ride. The famous train still chugs around the park. The difference, Shouse, the park planner, said, is that Chavis was a segregated park when it drew a regional crowd. As society changed and Raleigh's blacks could attend any park, resources got spread around the city. West, who voted to spend $8 million on the northeast pool, said he needs more facts and figures on Chavis before mapping a future. But he still believes it has been left behind. Pullen Park has its statue of Sheriff Andy Taylor and Opie, fishing poles in hand. Southeast Raleigh activist Octavia Rainey has a suggestion for Chavis Park: Why not a statue of Cab Calloway? Better yet; as your City Council Hopeful, I say...why not have "equitable distribution of funding." This will not only kill two birds with one stone, it will kill several birds. So to speak. Therefore, I will fight for a "Equitable Distribution Of Fund Policy" if elected. City Council hopeful, Lent C. Carr, II, The Community Success Initiative, the Raleigh Second Chance Alliance, Congregations for Social Justice, and the N.C. Justice Center all say removing that question in this state/city is a critical step toward former offenders finding jobs and the economic security that may keep them from returning to prison. The Community Success Initiative provides support for people coming out of prison and jail. Its founding director, Dennis Gaddy, said 22,000 to 26,000 people come out of North Carolina's prisons each year. This issue is "important for a couple of reasons," "Right now the economic crisis we're in makes it difficult for people to find employment, especially those reformed offenders who only seek a second chance to become a productive citizen of our community. We need to remove the disability barriers that exist for that segment of our community, so that those persons seeking a change in their lives can find jobs and assist in the spurring of economic growth to Raleigh, North Carolina's bottom line." Said Lent Carr at a recent Youth Empowerment Summit held at one of his Campaign functions in Southeast Raleigh. Those of us concerned citizens pushing for the change in Raleigh are only proposing that the question be removed from the initial application so that employers won't be immediately dissuaded by a criminal record before learning more about a job candidate's experience, skills and personality. A criminal background check would still be required before the applicant is hired, but making it to the interview phase would give the applicant a chance to explain the nature of the crime, how long ago it occurred, incarceration and rehabilitation efforts. It is a fact that the ever present "Have You Been Convicted of a Felon" Box doesn't fairly give the reformed offender the chance to tell the purported employer "that he/she has changed course in their lives, and that they are not looking for a hand-me-out, but nothing more than a fair shake at living a crime free employed life. City Council Hopeful, Lent Carr believes we need to manage growth in a thoughtful, comprehensive way. Raleigh must improve its roads, provide more transportation choices, and work closely with neighboring cities and towns to plan for our future growth in order to solve our transportation challenges. Moreover with the growth prospects ahead for our Capital City, I also believe that Raleigh City Council should find creative ways in "job creation" for its citizenry. I do not believe it is wise nor responsible to wait for the Federal Government to find a solution for our local job crisis. We must focus on the heaviest hit areas of job loss in Raleigh and provide a comprehensive, but responsible stimulus antidote in order to cure this unemployment disaster. It would be remiss for me as your candidate of change not to highlight the other part of this jobless rate concern in Raleigh, specifically Southeast Raleigh; when I received complaints from my constituent base regarding construction jobs that are viable and potential jobs for those persons who are legally citizens of this Country, be it blacks, whites or hispanics...I find it appalling that the powers that be would permit undocumented workers to secure these type jobs when they are legally not eligible to work in the Triangle, and whereas those persons legally eligible cannot find jobs in that career area due to the permitting "blind eyed" official's un-official ratification. Immigrant workers should be allowed to secure employment in Raleigh, only if they are legally documented. Taking this approach will inevitably boost our local economy and employment rates. Not to mention putting those persons displaced from their homes, ways of life and employment back to work right here in Raleigh. In short, Carr believes that creating jobs and improving our local economy is a top priority. 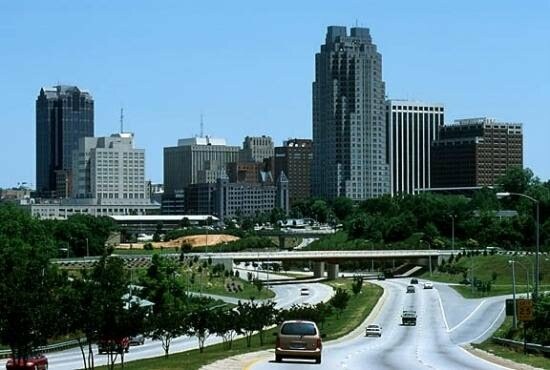 By keeping taxes low, implementing business-friendly processes, and making it easy to attract outside investment, the City of Raleigh can create jobs for our citizens and the many people who are moving to our beautiful area. because I believe what we need in this pivotal time in our City's history is action now. We need to take action to create high‐quality job opportunities that will allow our children to raise the next generations here with an abundance of economic security. We need to take action to improve both our natural and designed environments by cleaning up the toxic messes left by our predecessors and then building a new economic base that coexists with our magnificent natural environment. We need to take action to expand our sales tax base through prosperity. It is through an expanded sales tax base that the City will be able to provide the essential public safety services of police and fire protection at the levels that keep us safe. The path that we are currently on has not led us to where we want to go. Our local businesses are closing and families are moving away because too many living wage jobs have disappeared. With every one of those families that moves away, there is a detrimental impact to the city's sales tax revenue base, resulting in City Hall’s shrinking ability to provide important services, such as public safety. I’ve studied many of the key issues facing Southeast Raleigh. My decisions have been based on a careful analysis of all sides to find common ground. I will bring the same thoughtful process to City Hall. Many believe District C has divided into two political camps. "The Old Political Guard" and "The Future Political Guard." Of course such division has come about because as the younger generation believes; the old political guard leaders have left them behind and unprepared to adequately take over the reigns of Southeast Raleigh's politics. I hope to be a bridge bringing both sides together for the good of our community. My goal is to encourage common sense governance, collective bargaining, consensus building and calm decision-making. If you share my vision of a new Raleigh where families can flourish and City Hall works for the people, please cast your vote for Lent Carr for Raleigh City Council. In today’s struggling economy---when families are worried about their future---cutting wasteful spending and keeping our taxes low will be a top priority for me as your Candidate of Change. City Council Hopeful, Lent Carr has developed working proposals to cut spending where needed in our City Government, and has addressed tough budget challenges therein. Once Elected he plans to introduce these doable proposals as part of his overall budget revitalization initiative. I believe that when Americans has been forced to tighten their belts financially, their Government(S), Nationally and Locally, should lead by example. Lent Carr believes that making government more efficient is important in today’s economy. He also believe we must cut through the red tape of the development process, examine all of our city departments for redundancy, and implement effective employee review processes. So long as it is proposed in the spirit of effecting a productive government sustainability, in contravention to a member's or members of government personal political ideologies or prejudices. Living in the heart of the South side of Raleigh where crime is rampant, Lenoir Street, Lent Carr has a strong desire to build and maintain vibrant, safe, and healthy neighborhoods. In order to keep ---and improve---our quality of life and property values high, Raleigh needs safe, walkable communities with greenways, parks, and gathering places that are usable amenities. On this platform issue of grave proportion, Lent Carr will explore the roots of economic prosperity and offer suggestions for finding the path out of extreme poverty for the City of Raleigh/Wake County's poorest citizens and offer remedial solutions alternatives for bringing down Raleigh's crime rate as a result of tackling one of the most overlooked issues of Southeast East Raleigh---POVERTY. For more than 26 years in the Ministry and working with those less fortunate of our community, Carr's foot work advocacy for this segment of our Municipality, his experience of having been raised in the Projects and extensive research has led him to an unyielding and keen understanding of what it means to be poor and left behind socio-economically right here in the United States of America, and exactly what it will take to end this inhumane cycle. The result of such experiences of understanding is this practical "platform issue" , which combines practical experience with acute professional analysis and a belief that ideas, if well thought through and based on sound thinking and historical experience, can play a central role in eradicating poverty in our time and in our great City. For those of you who say that poverty is a global shame, but there is no way to fix it, I say just view this issue with an open mind and follow Lent Carr's reasoning with an attentive eye on the solutions rather than the problem itself. It is promised in this platform that Carr's experience and wisdom on this issue will tell us something very different. For even if you do not agree with all of his prescriptions, it is impossible to deny that the needless deaths of so many people every year from extreme poverty does call for action on a global scale. Why is that? I will speak for myself. There is no way in the world I would have understood anything without the chance to see and experience it myself. Because there is no way in the world I would have read in the news or media, or even in the professional journals that I read, the basic facts and contours of the situation. When one is chanced to see it or to have one's eyes opened and directed towards the problems, I think there is a lot of clarity that can result. That clarity can lead to action, and the action can lead to some stupendous results, not only in saving those lives, but, I daresay, in saving our own as well. Until we take up this challenge, pertinent segments of Raleigh/Wake County is going to be awfully insecure and unstable and unhappy to say the least. Maybe it is sad to say that even after 26 years, every day is still shocking for me—sometimes shocking in the enormity of the crisis, sometimes shocking in the simplicity of the solutions. One has to work at it. Even more exciting, whatever poor neighborhood I happen to go to, the people know a tremendous amount about what they need and the realities of their lives, contrary to what we think. The people I speak to never strike me as asking for an hand-me-out---It is just that they need some help.